With Summer comes the urge to slip into barely there garments to soak in more of the glowing sun rays. Although it's pretty grim out here in London at the moment when the sun shines its makes for a pretty sight and I like most Londoners will reach for those barely there pieces as fast as I can reach for them. I may have accentuated my waist with a makeshift ribbon but I do love the unrestricted feeling of slipping into a camisole dress. It's like bringing a little bit of your home comforts with you on the go. 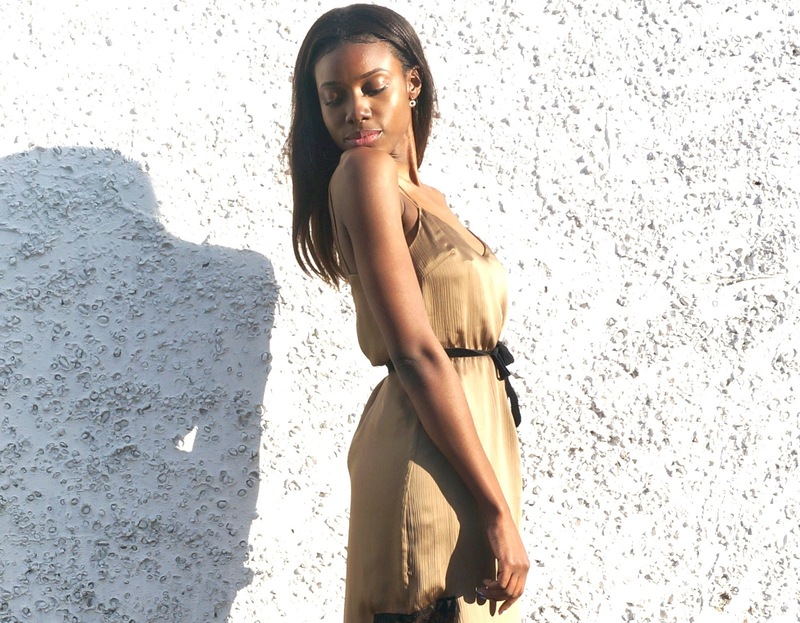 I know the likes of my mother will forever refer to the camisole dress as strictly being sleepwear but in this new age of fashion its safe to say that being daring is what makes you stand out. I kept the styling of this ZARA camisole dress to a minimum, pairing it with a only a pair of scrappy heels and a makeshift ribbon. As it happens, the new way of wearing the camisole dress is to now slip a t-shirt underneath to create more of a casual look that tones down its sensual nature making it even more acceptable to wear during the day. Most are considering it to be the new cool way to wear the camisole for the summer.